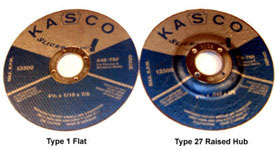 These are premium abrasive wheels designed for use with right angle grinders to cut most metals. Frequently used to but bolts, sheet metal, and other construction jobs. Always use with a tool guard, and where personal safety protection including safety glasses.